There's no need to decide what type of nut you want when you have this roasted unsalted deluxe mixed nuts assortment on hand. 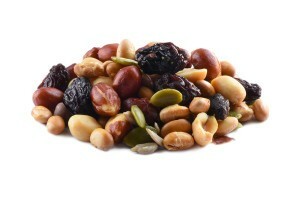 This mixture contains nuts with various textures and unique flavors so that you can have a diverse experience when eating this assortment. This is a healthy, nutritional treat that is sure to please any nut lover. Cashews Roasted Unsalted, Almonds Roasted Unsalted, Pecans Roasted Unsalted, Filberts Roasted Unsalted. Great Value Pack. I always stock them up . Very Good and tasty !!! Complete yumminess!!! Perfect mix of everything, not too much of one & not enough of the next. I always get unsalted & each is roasted to perfection👌🏾😊. Order these a lot, almost as good as the deluxe mix raw. Use them in my fruit n nut mix. Very tasty deluxe mix with no peanuts! We order these all the time – great snack! I like it with a variety of nuts. Nuts are good for keeping healthy. I will buy it again after finishing it. Nuts are good for healthy. I like it with a variety of nuts. I want to but it again.